The young Ned Lawrence first came to this area as a five-year-old when the family moved here from Brittany in 1894.
this extract from the 1897-1909 Ordnance Survey Revised New Series map. The house has since been demolished. 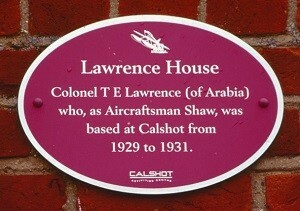 Indeed, more than thirty years after Lawrence first lived here, it was his RAF career – and his interest in the development of rescue boats, in particular – that would bring him back to the area, first as a clerk helping to organise the 1929 Schneider Trophy race for seaplanes and flying boats, and again in the 1930s while working on high-speed launches for the RAF. 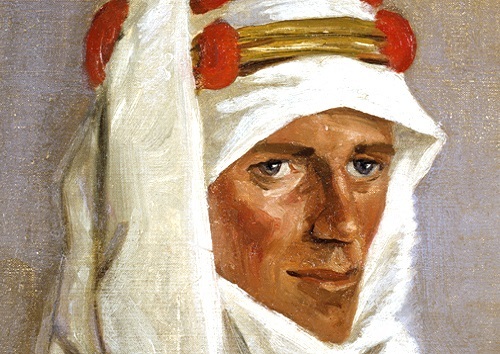 Shortly after his return from India at the beginning of 1929, Lawrence assisted his new Commanding Officer, Wing Commander Sydney Smith, in organising the prestigious Schneider Trophy race that took place in September off Calshot, at the southern end of Southampton Water. 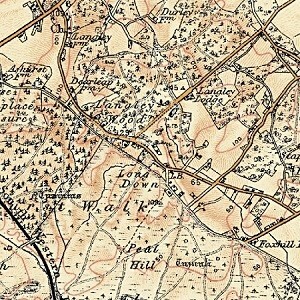 between 1913 and 1931. 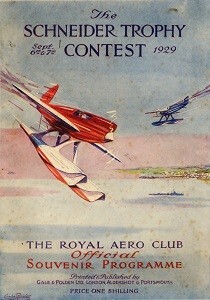 Calshot hosted the race for the first time in 1929 and again in 1931. Lawrence spent much of the duration of the 1929 event living aboard a yacht, Karen, and as a reward for his help with the event, he was given a model of the winning Supermarine S6 seaplane which can be seen at Clouds Hill. It was here also that Lawrence and Sydney Smith were presented with one of the yacht’s tenders after Lawrence gave it an overhaul – a Biscayne Baby speedboat which they renamed Biscuit and took back to Plymouth. of a Blackburn Iris III flying boat in Plymouth Sound in February 1931 that prompted him to devote much of the remainder of his service years assisting in the development of high-speed rescue craft for the RAF. In 1931-1932, he was posted at Hythe where Hubert Scott-Paine had begun building hard-chine planing hulls at the British Power Boat Co. Here, Lawrence oversaw the construction and trials of power boats for the RAF. 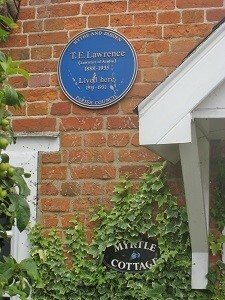 During most of this time, Lawrence lodged at Myrtle Cottage in Shore Road, Hythe, where a blue plaque records his occupation. Further along Shore Road can be found many modern hangars and the ruins of older buildings which mark the site where the British Power Boat Co. was located. Some of the concrete slipways that may have been used to launch the power boats can be seen along the shore. Lawrence’s work on the development of power boats was to take him to many locations over the remainder of his service career. 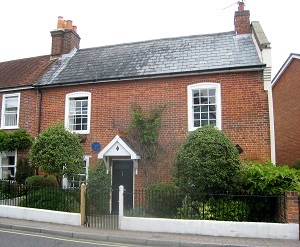 1933 saw him based briefly across the Solent at White’s shipyard in East Cowes, where he lodged at 119 Clarence Road. In July 1933, he took lodgings at 13 Birmingham Street, Southampton, and this became his base for much of the next 18 months. The house no longer stands. Frequently, though, Lawrence travelled to other parts of England; sometimes by power boat, sometimes by train, but usually on his Brough Superior. One wonders what mileage rate the RAF paid for the use of his own motorcycle? 100 class of high-speed launches built in the UK, and was one of the first fast offshore rescue boats in service with the RAF. Even though this particular class was not worked on by Lawrence, the boat contained many design features and developments made possible by the 200 class which he worked on. 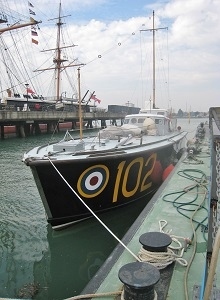 In 2013 members of the Society enjoyed a rare opportunity to take HSL 102 out into the Solent, where we were able to put her through her paces in a thrilling ride across to the Isle of Wight and back. – a thrilling experience on such an historic boat. What’s it like to drive this historic high-speed craft?